There are two ways you can delete a recorded payment in case it was created in error. If a payment has been recorded in error you can delete it and then register a new one to balance out the same invoice. 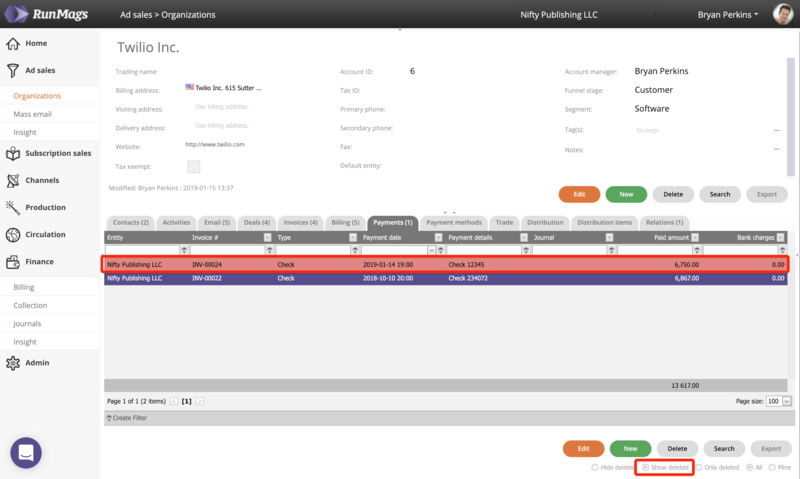 Note that it's also possible to edit a payment by clicking the orange Edit button shown in the screenshots below. 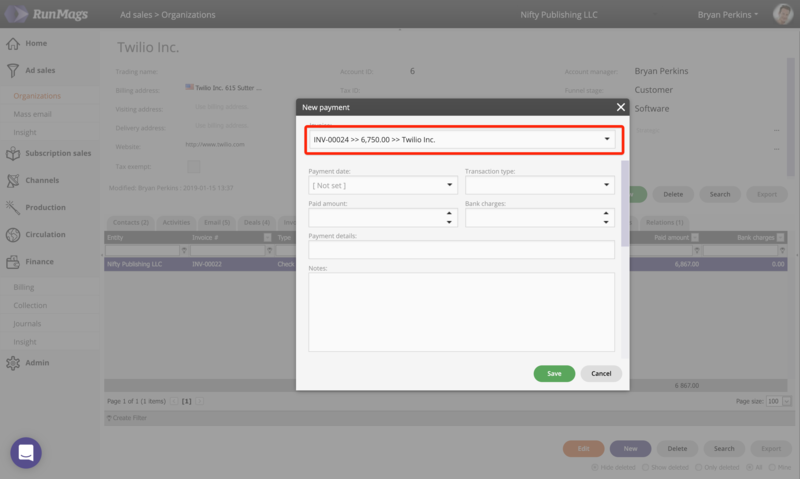 There are two ways to delete a payment: from the Finance module and from the Ad sales module. Go to Finance >>> Collection, then open the Payments tab. In the Payments tab select the payment you want to delete and then click the Delete button at the bottom right. 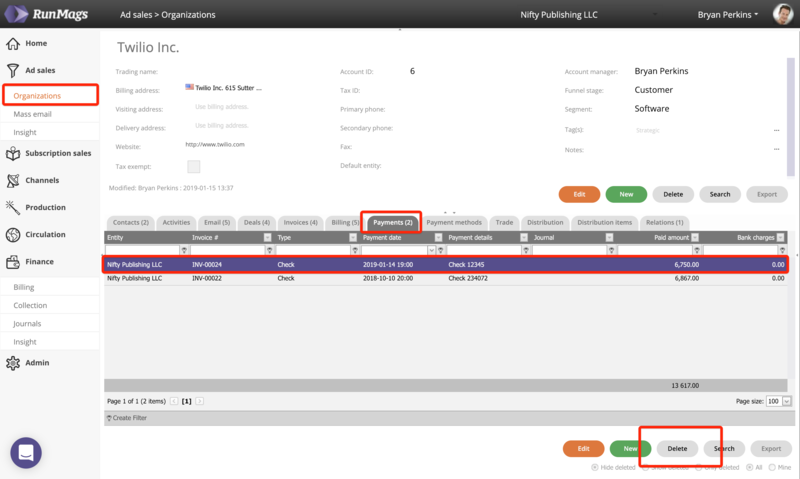 A user with Ad sales access can manage their account and also delete payments if needed. 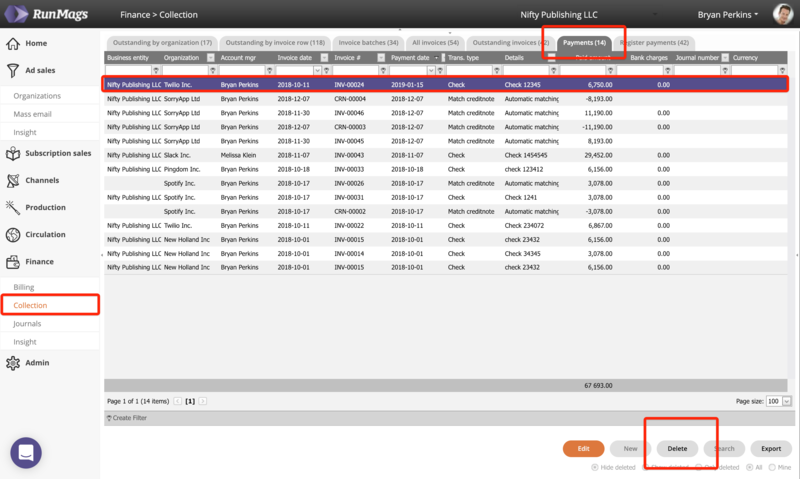 Go to Ad Sales >>> Organizations and locate the client you want to delete a payment for. Open the Payments tab and select the payment you want to delete. Then click the Delete button at the bottom right. Note that the registered payment will not be permanently deleted from the database. For future reference and in case you want to undelete the payment it can be viewed if you select the radio button for "Show deleted" beneath the buttons on the lower right. To record a new payment once again for the same invoice, simply click the New button and select the same invoice in the dropdown menu.